These are the individual springs sold in our FMTVTUN kit. Please select the colour you require using the options above. 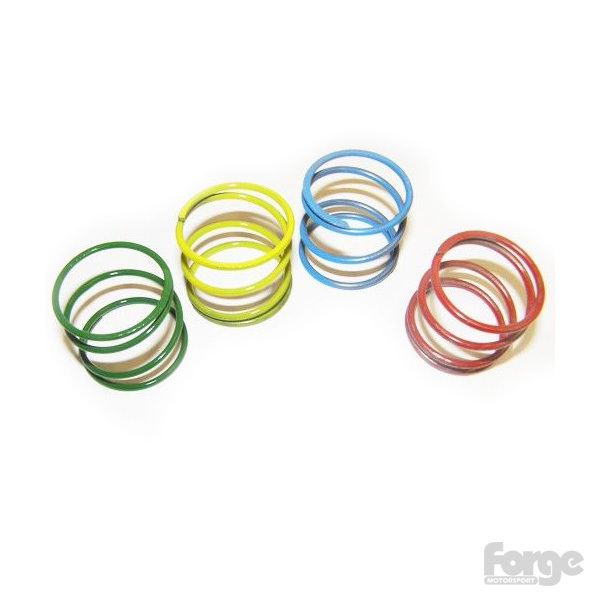 Valve Spring Colour Coding: The weakest spring is GREEN, followed by YELLOW, BLUE, and RED which is the strongest. Depending on the supplied original fitment, this represents an increase of 25%, 50%, 75%, and 100% respectively. The standard spring option is for customers who wish to replace a broken idle spring in their twin piston atmospheric dump valve. Note: Serious or fatal damage may occur to the engine and associated components if this product is incorrectly matched to the individual engine requirements. 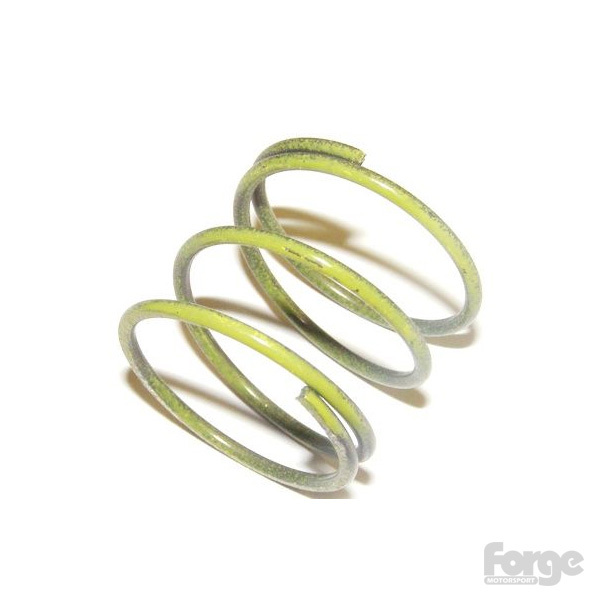 Forge Motorsport nor any of it’s Authorised Distributors can assume any responsibility for any adverse effects resulting from the installation of this product. Very fast service. Second to none. Ordered whilst I was away on holiday in Croatia. Was excited when I received it fitted it to my forge dump valve sounds amazing. Will definitely be ordering other products. No fuss whatsoever. Excellent service,. super fast delivery,.. my spring had gone weak so a replacement was necessary restoring it back to normal without issues,.. Superb customer service with great knowledge and problem solving. Great and fast delivery options to get the goods moving fast when needed !! Highly recommended, Thanks John, my Mini runs now with no issues !! Great service, top quality product & fast delivery. Great service and fast delivery, was cheaper to buy directly from Forge than buying it elsewhere.